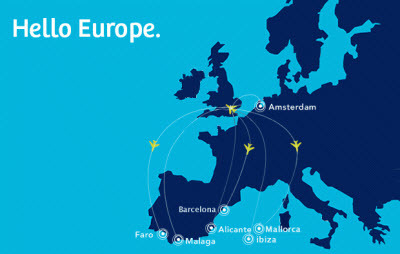 London Southend Airport, east of London, inaugurated yesterday a new terminal that will connect London with several European destinations, including Malaga. The former Regional Airport, located about 65 kilometres from London, has opened a new runway, terminal and a train station that connects it in less than an hour with the centre of the British capital. As of April 2, the low cost airline EasyJet, with 70 flights a week, will be travelling from London Southend to Amsterdam, Alicante, Barcelona, Belfast, Faro, Ibiza, Jersey, Mallorca and Malaga airport. The new airport, owned by Stobart Group, joins the other five considered London airports: Heathrow, Gatwick, Stansted, Luton and City. The new terminal is 43 minutes by train from London, the Olympic city 2012.